Beautiful XVII century cathedral entirely developed in coloured marble. The interior is richly decorated with wonderful XVII century paintings. The crypt below the church, still conserves the rests of Saint Andrew. 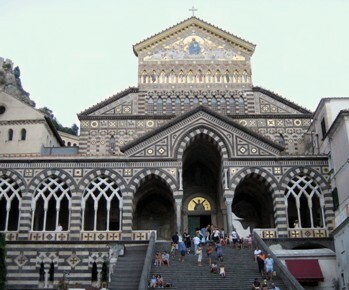 This magnificent venue is an ideal setting for grand Catholic weddings and romantic Catholic ceremonies on the Amalfi coast.